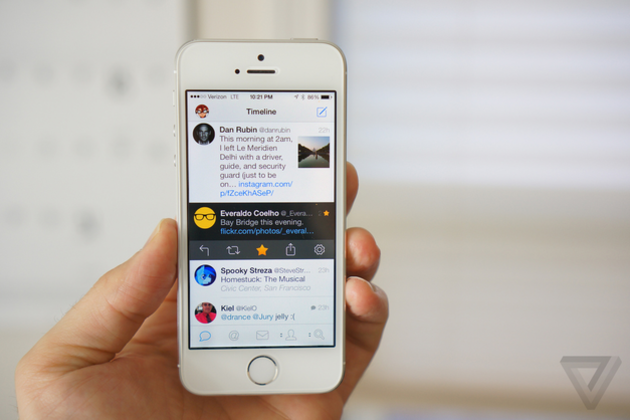 Tapbots today launched a brand new version of Tweetbot for $2.99, bringing with it a new design inspired by iOS 7, revamped physics and animations, and background fetch so your tweets are always up to date. The first thing you'll notice is the app's design, which scraps Tweetbot's famously "heavy" but refined user interface for a flat, contrasty experience. Tweetbot 3 feels a lot like Twitterrific, another popular Twitter app, thanks to its circular avatars, bright colors, and almost outrageously bouncy animations — except Tweetbot maintains its excellent power-user features like iCloud-synced DMs and read states, support for myriad image upload services, muting, "media view"f your timeline, and streaming over Wi-Fi.